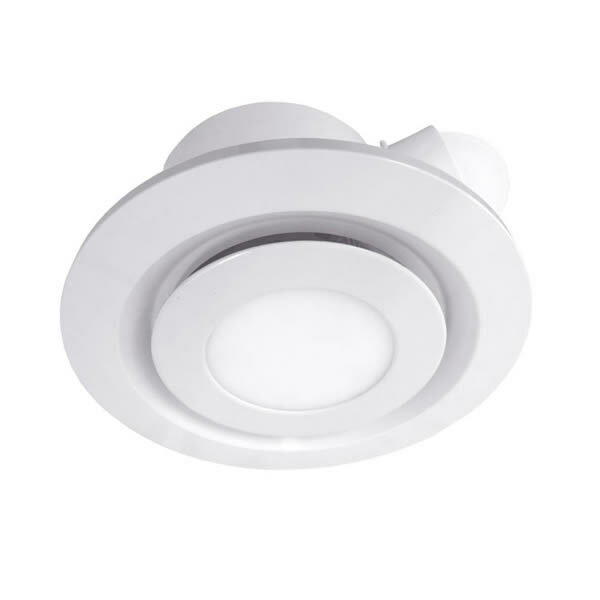 The Ventair Airbus with LED light is a low profile side ducted exhaust fan. This fan comes with a high quality ball bearing motor, engineered to maintain high airflow over longer duct runs (see pressure curve tab below for details). A back-draft damper, 10w LED light and lead & plug are included. *as long as you have a switched surface socket for a DIY installation. Suits duct runs of between 0-3m (for longer duct runs, see the larger models 225 and 250) – see the pressure curve tab below for airflow loss per duct length. Requires a minimum of 200mm of ceiling space.